I have an affinity for 20th century industrial steel and reclaimed wood furniture; especially when it is paired with modern pieces!! If you love this look too, I have rounded up some rad pieces for your industrial shopping pleasure, as you can see above. All available for purchase on the Boutique Mod, which is set up to help you create a space, a recharging space, where you can refuel your mind, your spirit, your being and your technology! So, relax, journal and have a cocktail, a Skinny girl Cosmo, of-course! 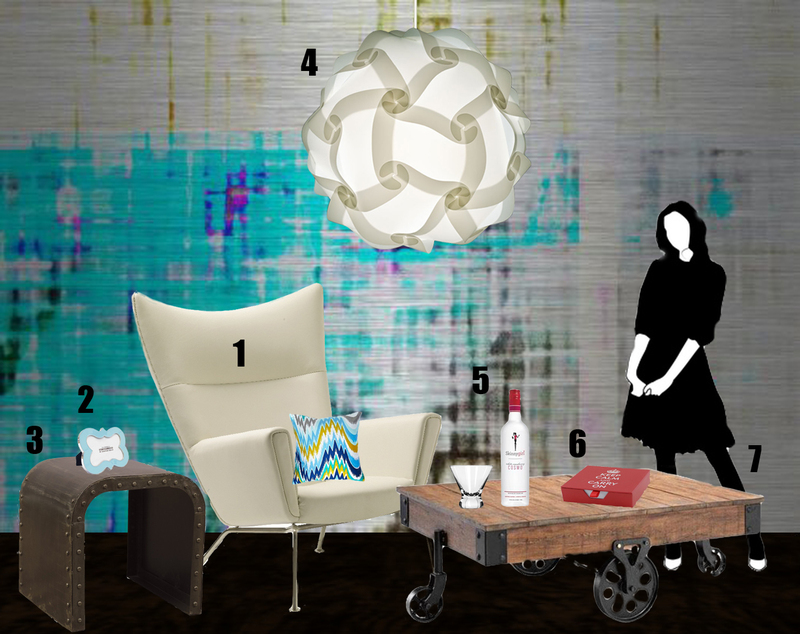 Shop at the Mod Boutique (browse by category): make choices on your own or get help from the readymade vignette above, a Mod Reclaimed Industrial narrative. 1.Chair: Nuevo HGEM- Jakob Jakob Lounge Chair. Color: Leather white.